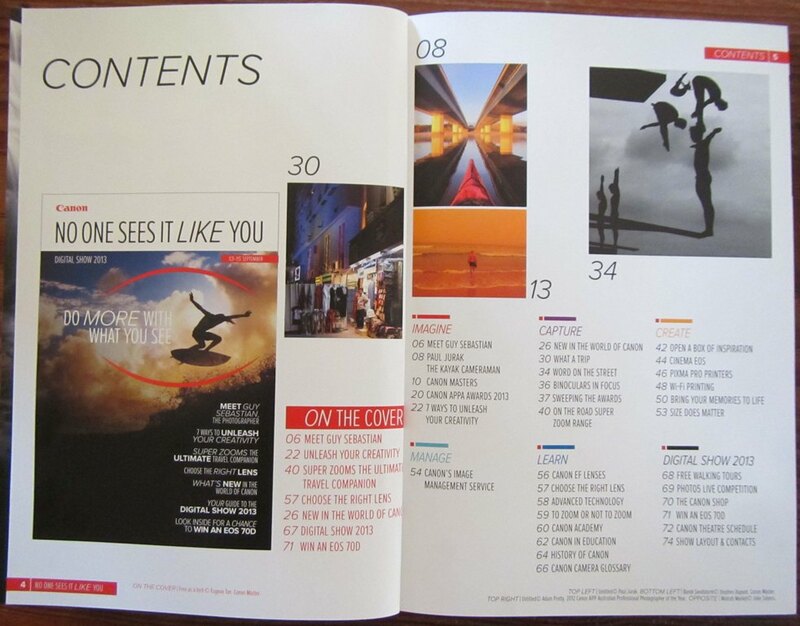 I am over the moon that I have a two page spread in the Latest Canon Book ‘NO ONE ELSE SEES IT LIKE YOU’ that was published and distributed for the Melbourne Digital Show 2013. 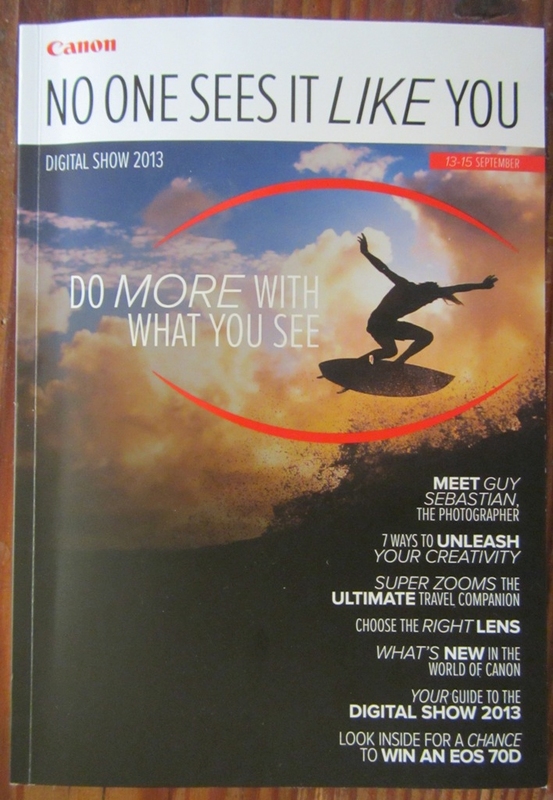 Huge thanks to Kai Lebens and Canon Australia. 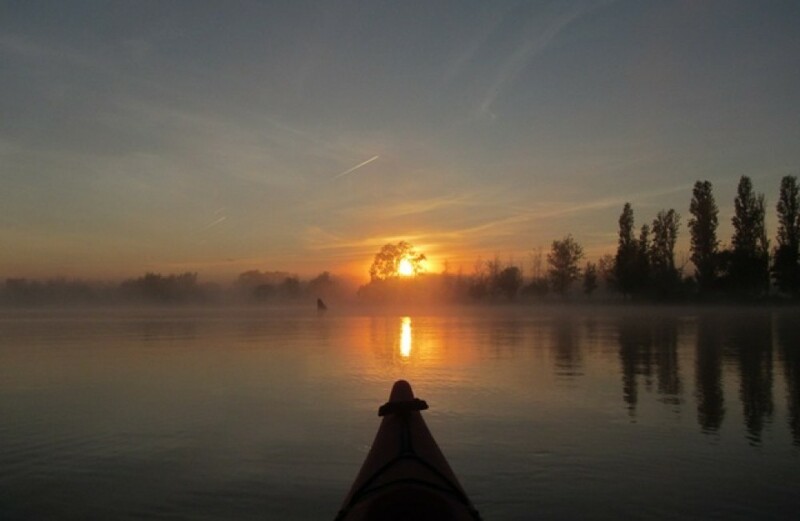 This entry was posted in Canon Camera, Kayak, Uncategorized and tagged Canon, kayak, WOW, Zen by kayakcameraman. Bookmark the permalink. Wow. Congrats. You deserve it. Your photos are incredible. Many thanks for your kind words judysbirds. It’s so nice to float away a snap a few sunrises and enjoy the scenery. This was truly a nice bonus. Kai has been so helpful, I’ve been so lucky to be able to get out there and experience so many beautiful sunrises and sunsets. I’m so happy that I can snap a few shots along the way and share them. My pocket rocket Canon PowerShot D20 has been unreal, I hope Canon like the shots as well. I was blown away, I really didn’t expect that at all. 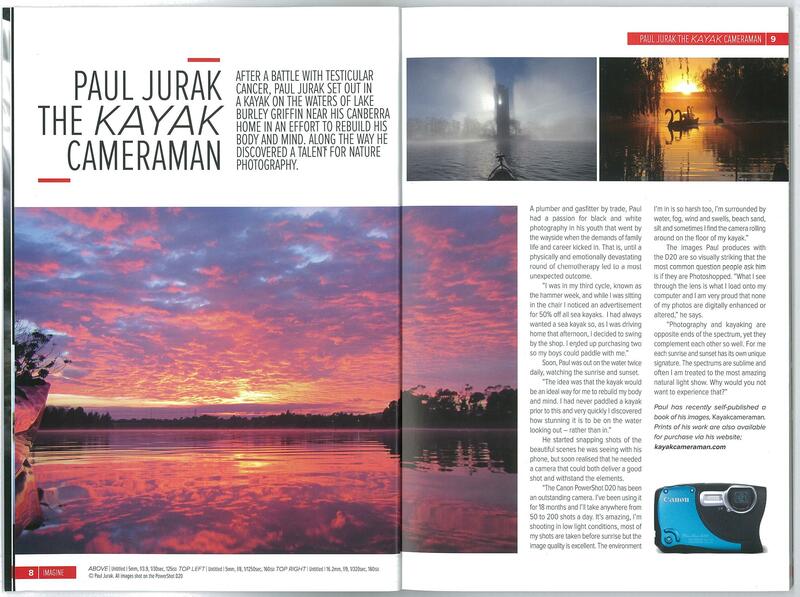 Good to see some recognition of the beauty and natural artistic brilliance of your photos! Thanks for your kind words, I consider my self one lucky person. We certainly do have our fair share of stunning sunrises here. I just love starting the day by catching a cracker sunrise taking place. Nothing better. Cheers my friend. There has been a few amazing sunrise over the past few years and I look forward to catching more. The article put a big smile on the dial for sure. Bit shocked really, I didn’t expect that at all. that is a great compliment; I thank you so much. It’s so nice to hear that my photos are enjoyable along with the captions. It great to have a bit of fun and look at things from a different perspective, there is too much doom and gloom and seriousness around as it is. Better to be half full than half empty. Thanks for clicking on, commenting and being a part of the site.